Virginia Lawyers Weekly is proud to present the results of the 2018 Reader Rankings Survey. Thanks to you, the Virginia Lawyers Weekly audience, for voting and suggesting the businesses that help your firm the most. Check out the publication below for the full results. 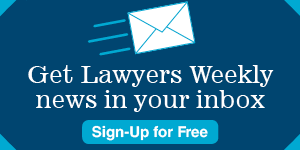 Keep an eye on valawyersweekly.com for info regarding the 2019 survey.